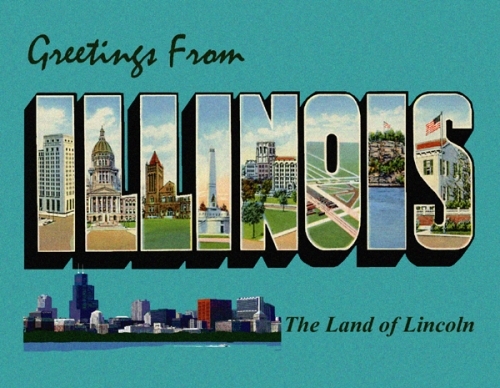 Greetings From Illinois Postcard - Custom original only available at Legends' General Store. Text on back: Greetings From Illinois. In the "Land of Lincoln," visitors find wide diversity from the major metropolitan city of Chicago, to the small farming communities along old Route 66, to its many state parks, where the trees are lush and streams flow freely. Postcard is brand new and in mint condition.